If death were near what would you do? It’s been a year since I wrote this story, but I figured it would be good to see it here. Getting a spec agreement from the Outdoor Sports Guide for 750 words about Team Tumor running the 2010 Ragnar Wasatch Back Relay I headed to Logan to hang with the team.While following them on the vibrant back of the Wasatch, I became overwhelmed by the heavy presence of cancer in not only the team member’s lives, but in mine as well. 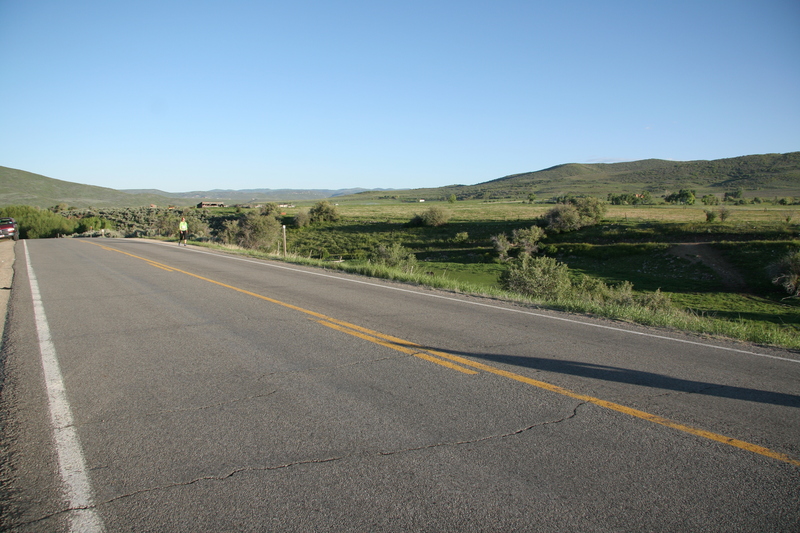 The course winds its way through the rural backside of the Watch mountains. Nancy, breast cancer survivor. Sherri, breast cancer survivor. Anna, skin cancer survivor. Suzanne, colon cancer. Jaimee, brain cancer. Dov, colon cancer. Their supporters; Breck, Matt, Paul, Cathryn, Gustavo, Megan, NiCole and Kameron. Interviewing Dov over the phone. I wrote in my notes that he is a force. I can only hope that I would be as strong if in the same situation. 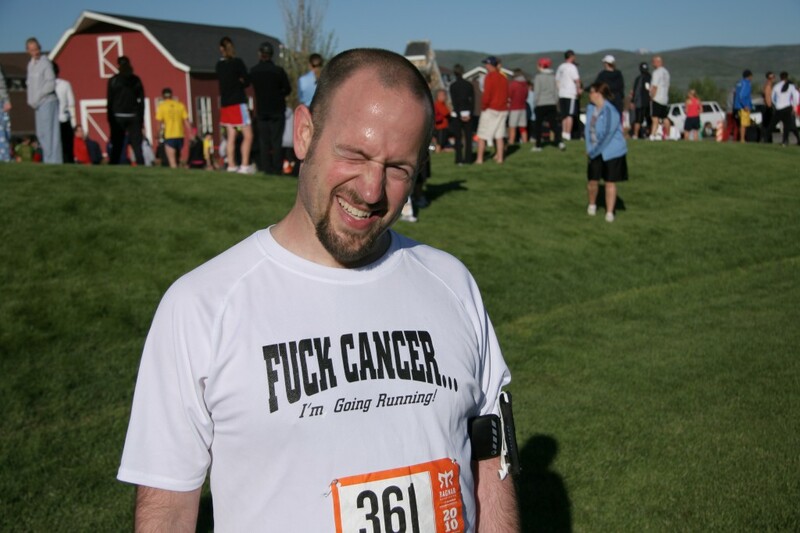 Just before the race his prognosis went from possible remission to terminal. Dov Soporin, co-founder of Team Tumor, is not subtle. Watching Jaimee finish her final leg. 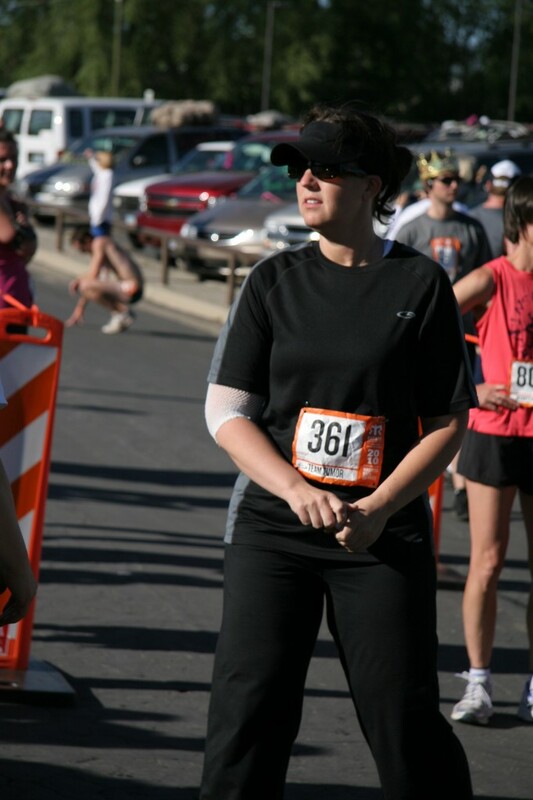 Her doctor advised against doing the race, but she had to do it for herself. She was undergoing iron infusions at the time. A process that is extremely painful. Seeing how Nancy’s life has been opened up to great people like Paul who is not only an amazing runner, was like a brother to the whole team. Paul Fulton comes in for a hug as Nancy Hiedman finishes her leg. Being blown away by everyone on the team. I can only hope that I would rise to the ocassion, full of courage and will power if it came to it. It was an amazing thing to witness and 750 words doesn’t even come close to telling the story. This year they did it again as Team BICan. The transition near Wanship at 5 am Saturday. Gustavo Flores models the team T-shirt. 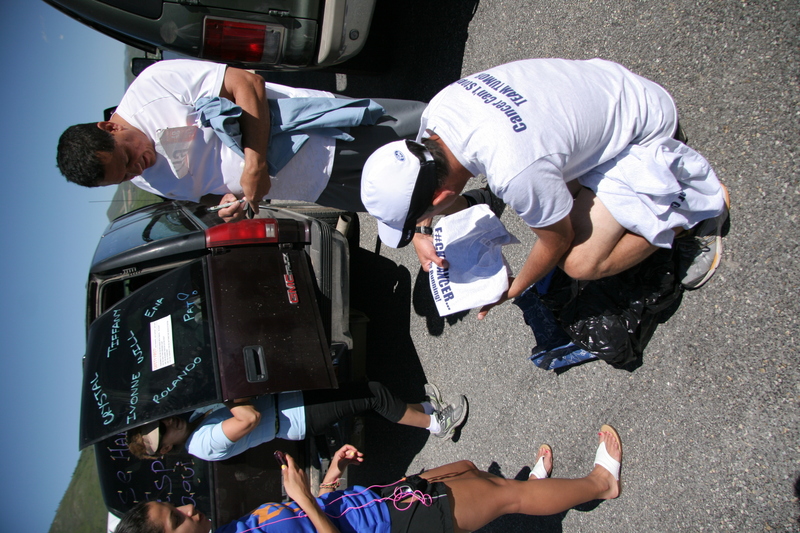 It was uncertain that the team would actually participate when within a week of the start two runners pulled out due to injury and then team captain and co-founder, Suzanne Harsha-Arevalo (colon cancer patient), had to pull out due to the death of her father. 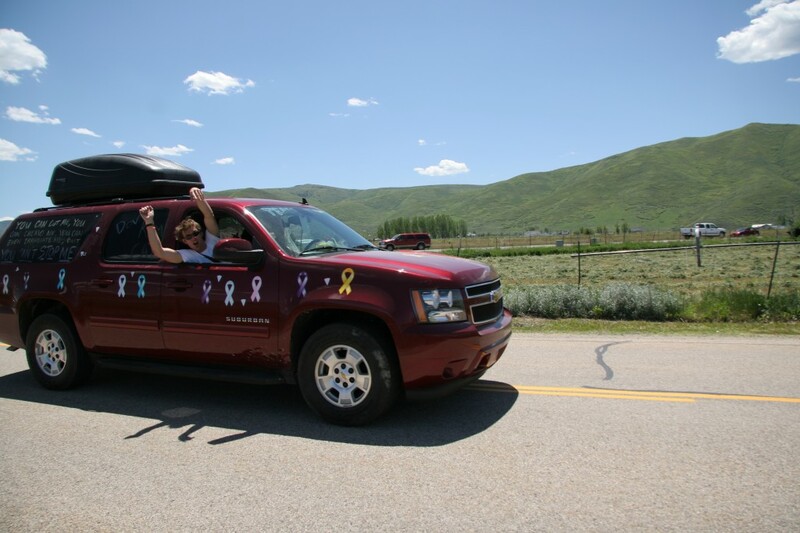 Co-captain, Anna Marie Forest (skin cancer survivor), shifted into to over-drive and with the help of the other teammates found replacement runners, coordinated the rental vehicles and gathered last minute supplies. 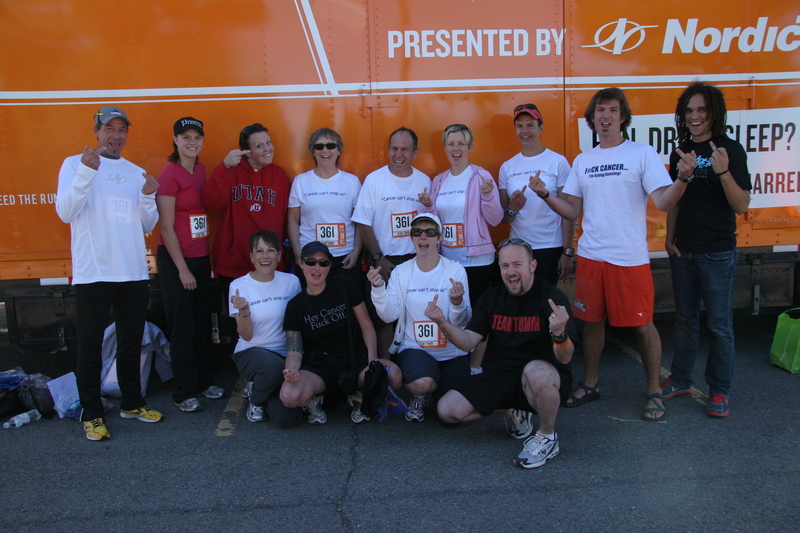 Miraculously, Team Tumor was at the starting line of the 2010 Wasatch Back Relay. The team comes together at the Oakley Rodeo Grounds. 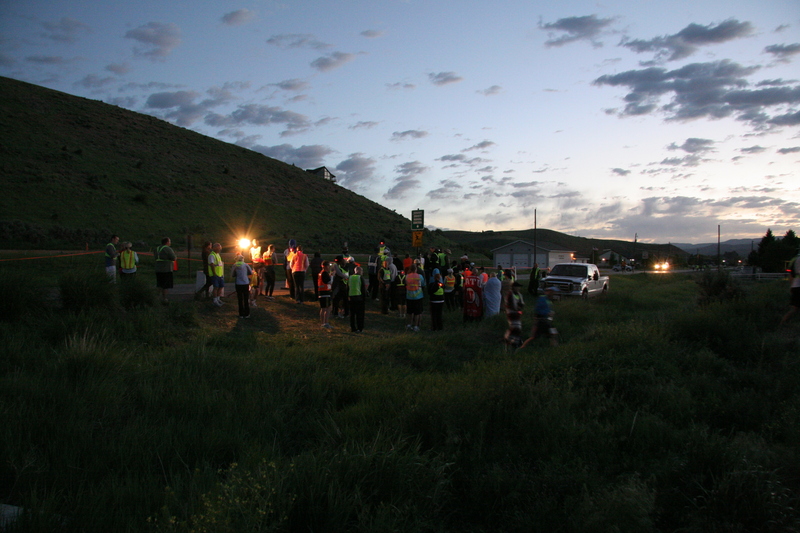 The Wasatch Back Relay consists of regular teams of twelve runners, each having three legs totaling 36. 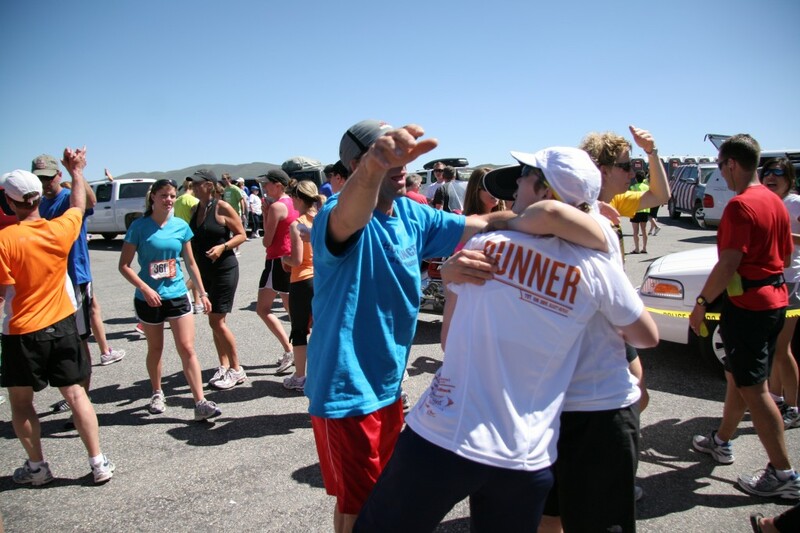 As one person runs the other team members leap frog two vehicles to an exchange while cheering the runners along the way. 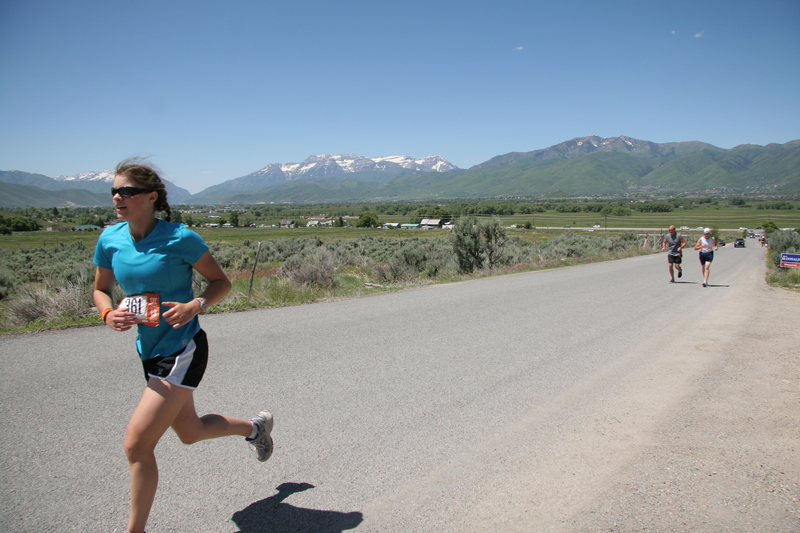 The legs range from three to eight miles and have various amounts of elevation change while the course snakes its way along the east side of the Wasatch Mountains from Logan to Park City, Utah. 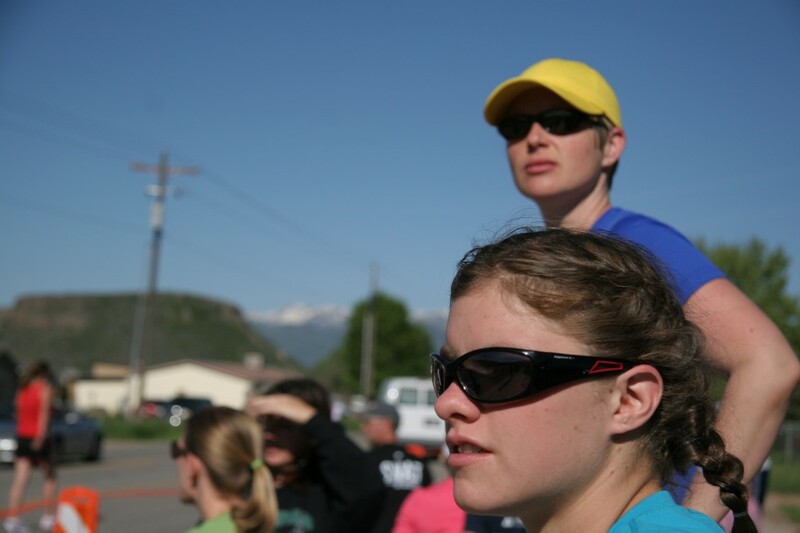 Megan Ovary and NiCole Batten look on during the 2010 race. 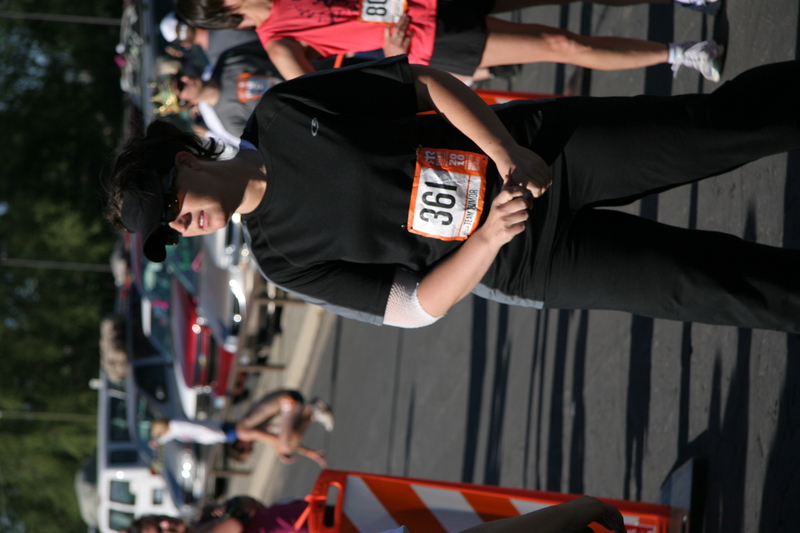 Jaimee prepares for her final leg. Riding with Jaimee and Sherri in van #1 were team veteran Nancy Heidman(breast cancer surviror), and first time Ragnar’s NiCole Batten, Paul Fulton, Gustavo Flores and Meghan O’Vary. Megan Ovary, 16, the youngest member of Team, blazes up the course. 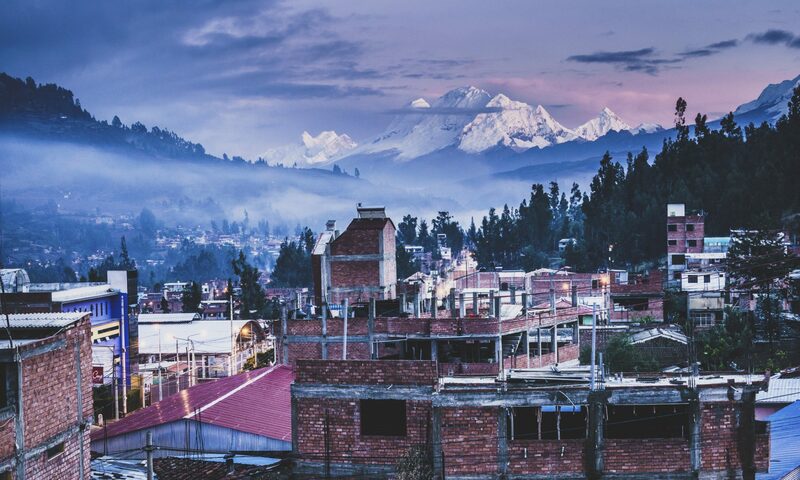 In Van #2 Anna and Dov were with Cathryn Smith, Breck Byington, Matt Bartley and Kam Nordfors. 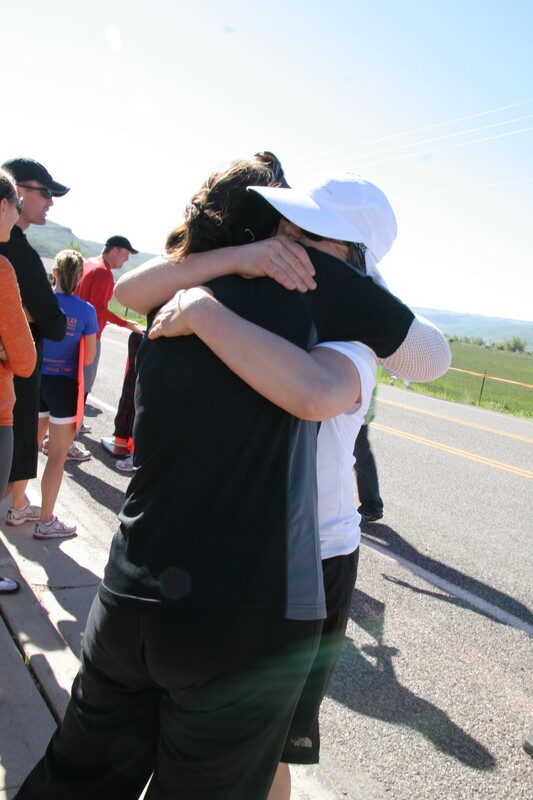 Jaimee Alkinani and Sherri Nielsen embrace after their final leg. In van #2 Dov felt the pain. From his first leg to his last, he suffered. From past experiences he knew that if you have to walk or even crawl you can make it through and on more than one occasion during this race he was on his knees. So when Suzanne Harsha- Arevalo was able to join Dov for the finale of the race it added support, purpose and meaning to the whole journey. 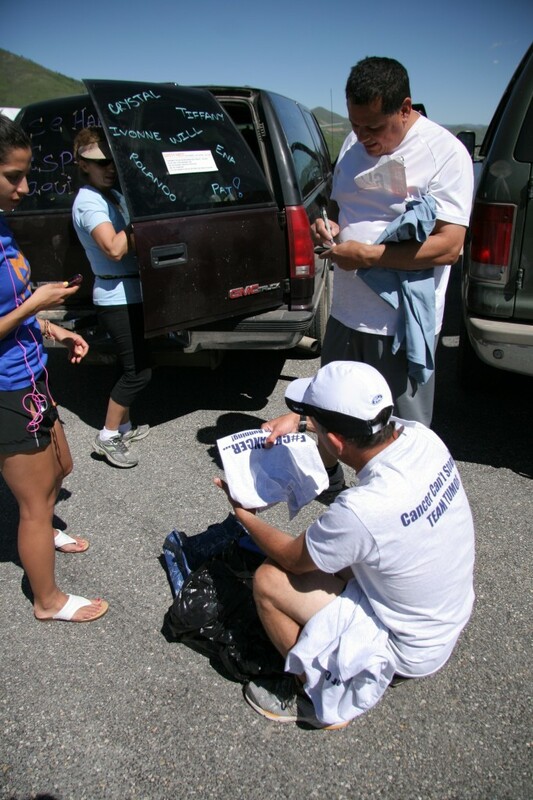 Gustavo selling Team Tumor shirts with the proceeds going to the Huntsman Cancer Institute. 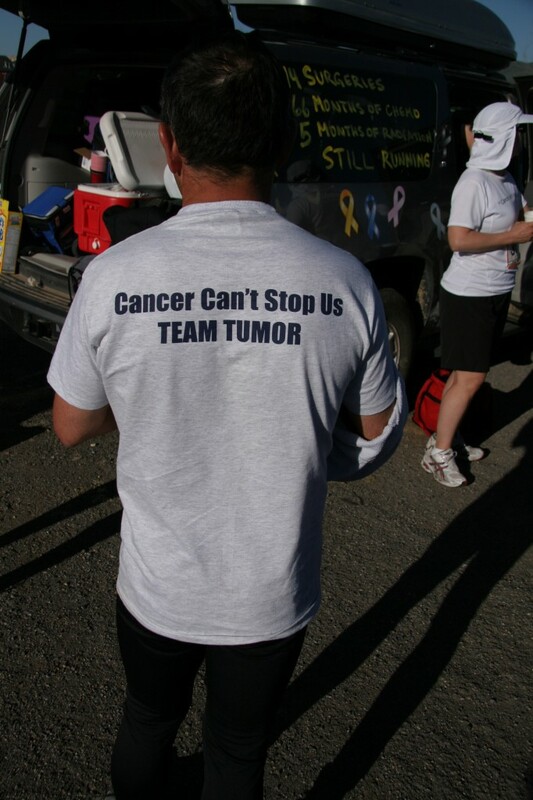 Team Tumor pushed on with the generous support and participation from healthy runners willing to give their best, they drew inspiration from their cancer survivors and found abundant life in the members that are standing on life’s edge. 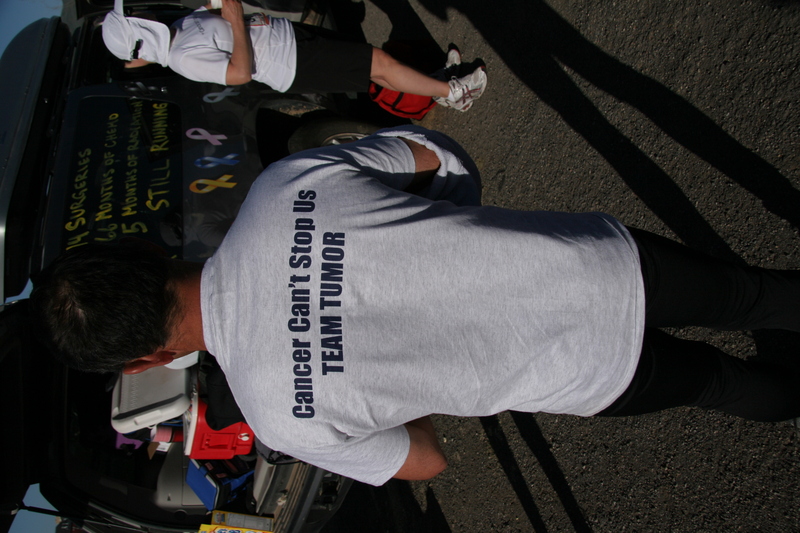 33 hours after beginning the race Team Tumor crossed the finish line, proving that indeed, cancer can’t stop them. 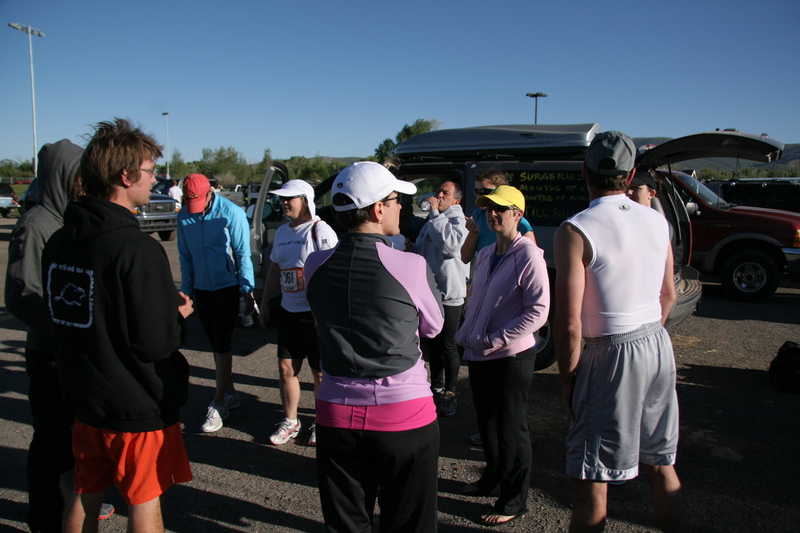 The team on their way to the finish.